Description: Cre recombinase is a type I topoisomerase from bacteriophage P1 that catalyzes the site-specific recombination of DNA between loxP sites. Cre recombinase is used as a tool to genetically modify genes, such as to delete a segment of DNA flanked by LoxP sites in cells or experimental animals. 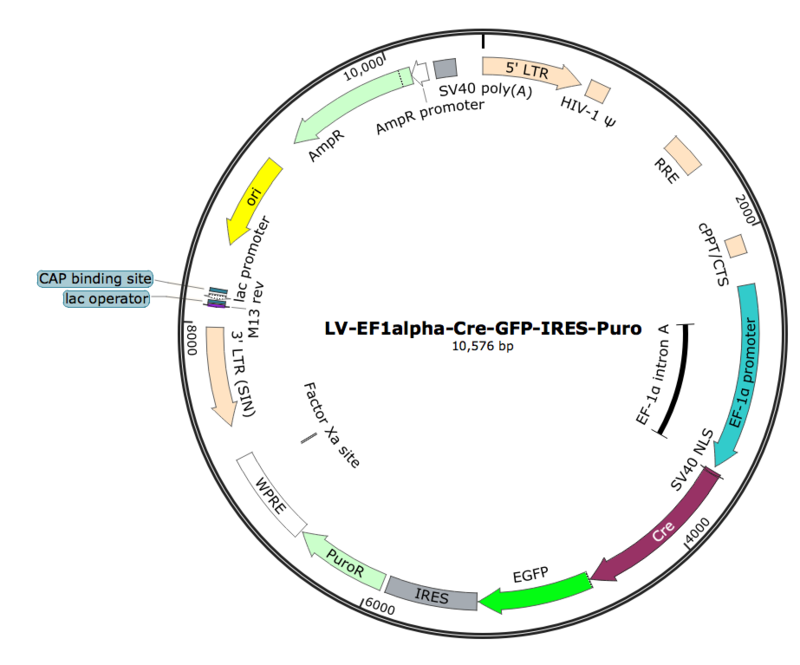 This pre-made lentivirus LV-EF1α-Cre-GFP-Puro expresses Cre recombinase fusion with GFP with co-expression of puromycin resistance in an IRES expression cassette under EF1α promoter. Ready to use format.